Posted on March 11, 2012 November 27, 2012 by Dr Halina Mohd YunosPosted in MommyhoodTagged solids. Previous Previous post: Barely Supermommy is in the mag!! 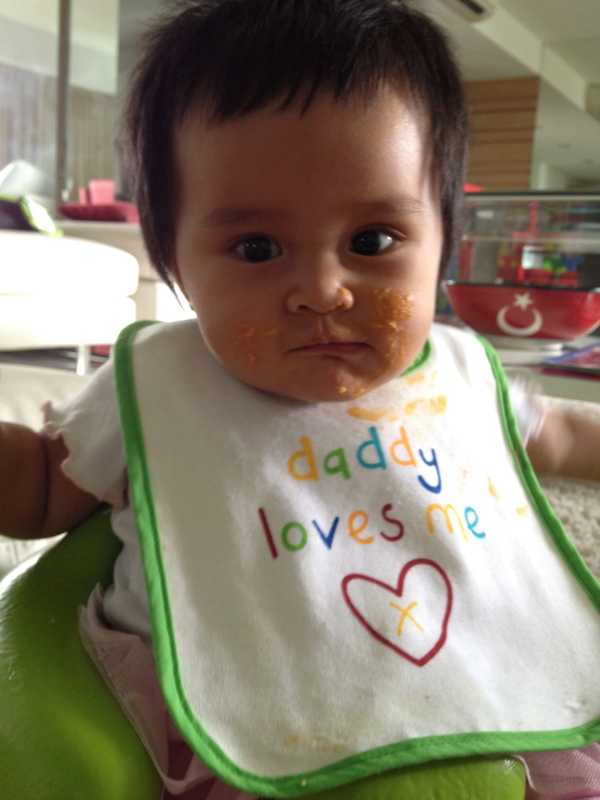 Next Next post: Life as a Medical Student..
agree with you kakna..this is what happened to me when I’m feeding my little niece..haishhh!!!! 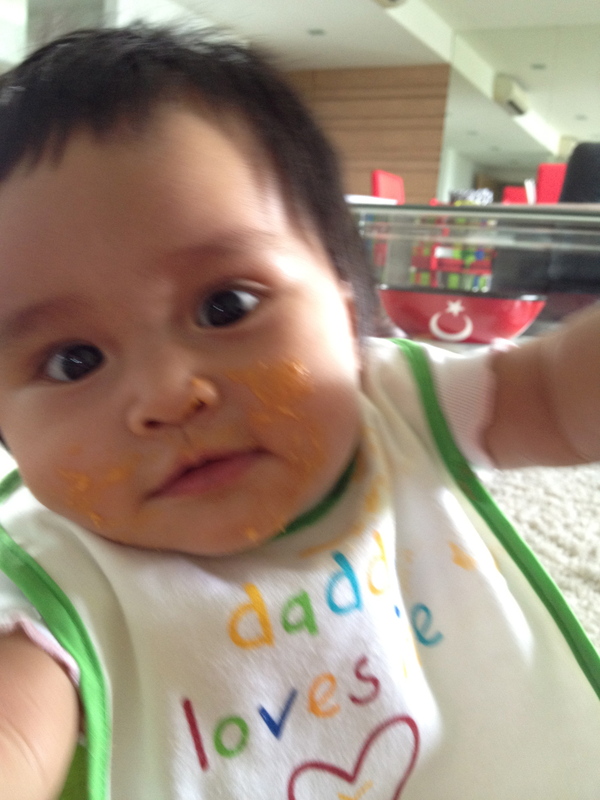 makan comot pun still cute..
same with me halina.the end results are always like a crime scene. But it is fun Doc , the most precious time in life is feeding them will full of love- am i rite Doc? ouchh…make me remember my cousin…. Haha! Memang susah. Last2 kalau susah sangat, kitorang tak suap pon biar dia pegang sendiri. Tapi memang disaster la waktu makan. 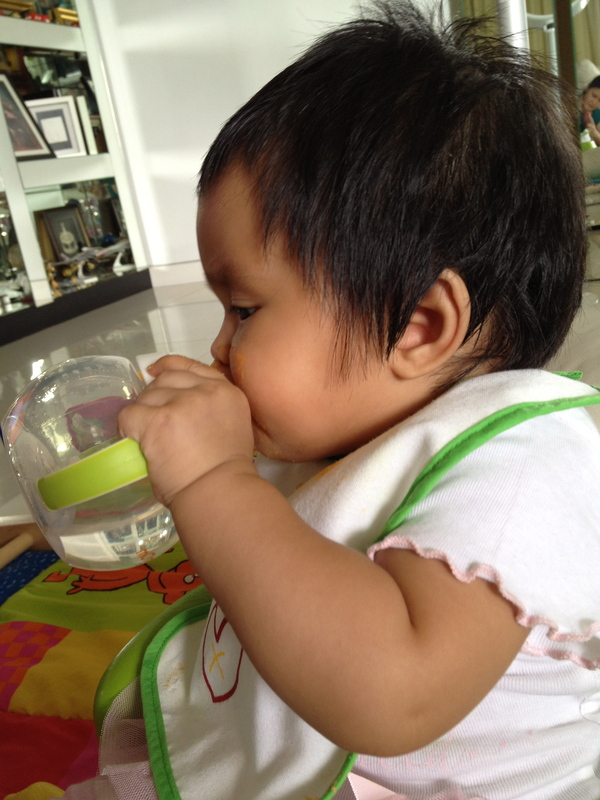 bygkanlah klu feed twin babies..kepala pusing…. i also ever think how to feed the twins, must be so challenging! saya pon alami perkara yg sama! tp puas hati bile tgk dia habis makan, kan? Aww baby B is soo cute. Makes me wonder will i survive when I have one for myself. 🙂 Hehe.. Any doc was wondering.. I’m planning ton have a baby soon so would love to if you could suggest some good books to read for pregnancy mommies..
same woth me..i have same problem when i’m try tu feeding my toddler..aiyakk..